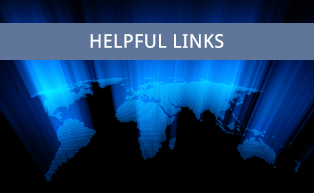 As a helpful resource to you, we have provided a list of links to related services and organizations. These links are provided as a resource only. While this content is deemed reliable, Fidelity National Title does not endorse or guarantee any of the associated content. IPX 1031 Exchange Services, Inc.
Bancserv, Inc. is a nationwide mobile notary service that can facilitate all of your document signing needs. Through a network of over 6,500 qualified notaries, we coordinate and simplify the loan closing process by sending notaries directly to a borrower’s home or workplace to sign loan documents. This value-added service eases the signing process for both the borrower and lender alike by providing a professional, convenient and flexible signing alternative. LSI Flood Services protects you from needless risk by providing detailed, exceptionally accurate flood data in real time, based on the highest level of automation in the industry. We are the first – and to our knowledge, only – company to fully utilize a complete set of actual FEMA Flood Insurance Rate Maps. The result is the most accurate and comprehensive GIS coverage in the industry, producing higher hit rates and faster turnaround times. IPX1031 has provided its clients with superior Qualified Intermediary services for over two decades. Each year IPX1031 assists thousands of clients and their tax advisors by providing proven exchange solutions that best achieve the client’s goals of enhancing their business portfolios and preserving equity. IPX1031 specializes in every type of exchange transaction and provides Qualified Intermediary services through its broad nationwide network of regional offices and its highly specialized exchange divisions, including the National Reverse and Improvement Exchange Division and the Multiple Asset Exchange Division.